It is now recommended to limit intakes of farmed fish. Wild fish contains pollution, but in much lower concentrations. Research shows that fish oil supplements are cardioprotective. This is because fish oil contains two long chain fatty acids called eicosapentaenoic acid and docosahexaenoic acid. These fatty acids accumulate in cell membranes and increase their fluidity, reducing the risk of a heart attack. In addition, they can also decrease inflammation, which may be a cause, or contributory factor, in the development of cardiovascular disease. Fish oils are extracted from fatty fish. These fish live in cold waters and have oils in their skin and flesh. 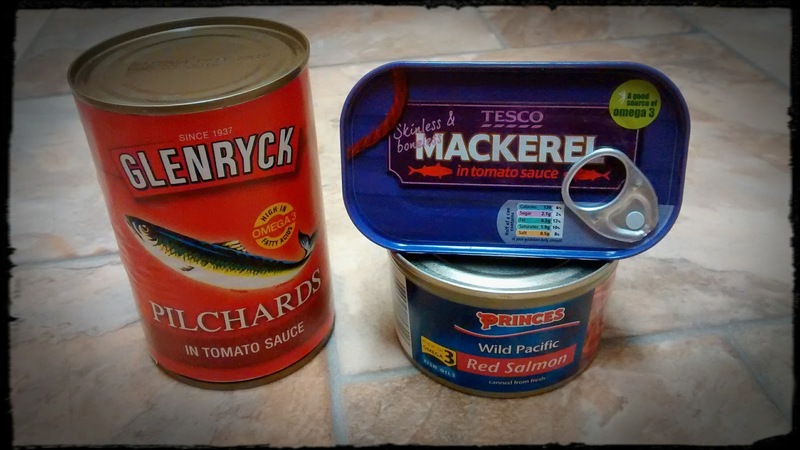 Fish such as sardines, mackerel, salmon, tuna and trout are fatty fish. Eating the flesh of fatty fish provides eicosapentaenoic acid and docosahexaenoic acid. Fish are therefore not only a good source of protein, but supply long chain fatty acids that are cardioprotective. Therefore fish can be a good alternative to fish oil supplements. Technically, fish are a better source of long chain fatty acids than fish oil supplements. This is because the long chain fatty acids in fish are delicate and extracting them to capsules can damage their structures. However, eating fish has a downside. The waterways of the World are becoming increasingly polluted. This pollution bioaccumulates in large cold water fish making them poisonous if eaten regularly in large quantities. Current recommendations are to not eat fish regularly if you are pregnant. This relates to the ease with which the pollution within the fish can accumulate in the developing foetus. Therefore the pollution within fish, that includes mercury, polychlorinated biphenyls and dioxins, is real and a danger to health. Farmed fish are particularly problematic because they accumulate parasites and as a result are fed high concentrations of drugs to keep them alive. When the fat is extracted from polluted fish, much of the pollution is transferred in the oil to the capsules. This means that fish oil capsules can be just as unhealthy as eating fish. However, some capsules are treated to remove this pollution. Buying treated capsules therefore is the best way to ensure a supply of cardioprotective long chain fatty acids without consuming potentially harmful pollutants and toxins. If you eat fish, go for wild fish, and avoid all farmed varieties.